It seems like every month, a new “superfood” comes to the forefront in the health and nutrition community. When pursuing a healthy diet, it can almost be distracting! Should we stick with what we’re doing or move onto the next shiny new fad? 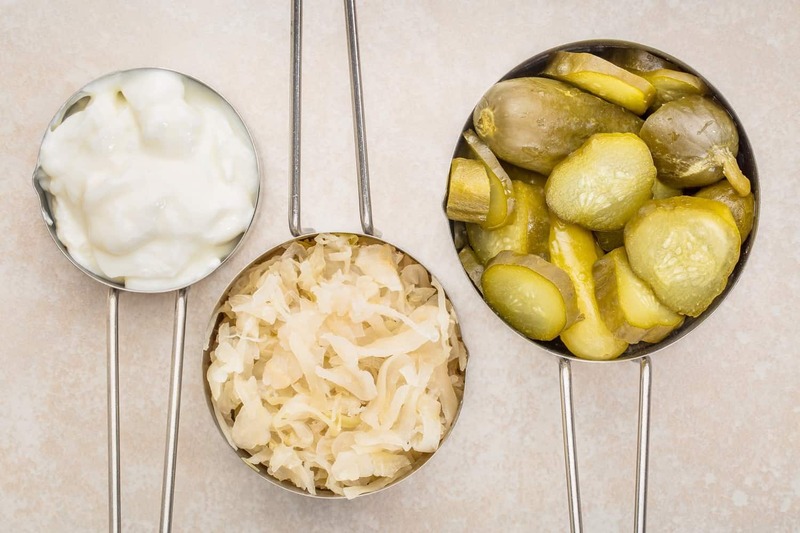 One powerful source of nutrition that isn’t just a short-lived trend is fermented foods. Fermented foods are here to stay – they’ve been around for centuries. Our ancestors used them to improve digestion and preserve foods that would otherwise have a short shelf life. 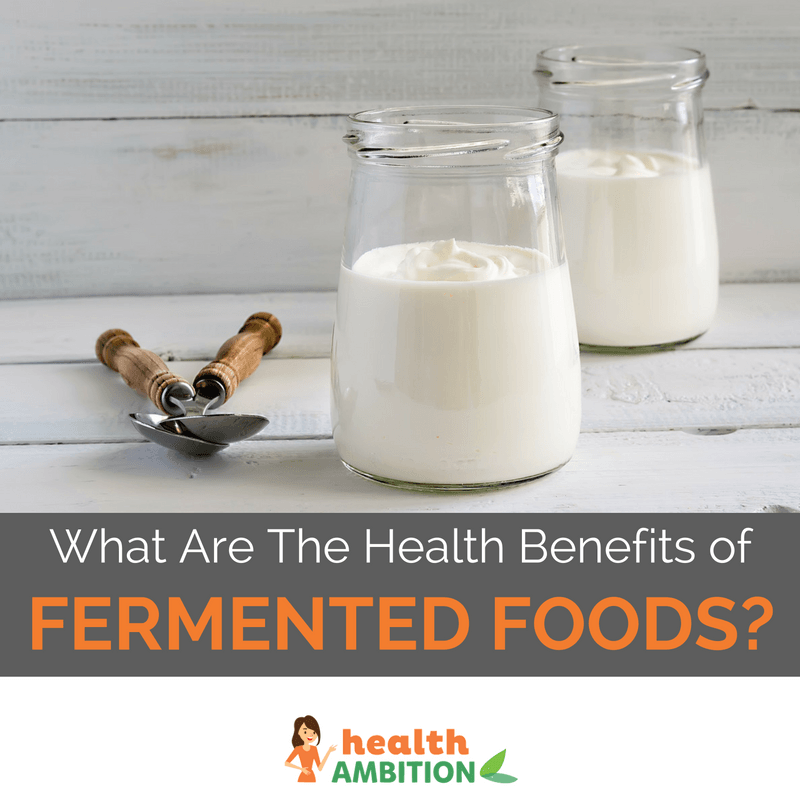 The precise health benefits of fermented food are numerous and varied. However, their main claim to fame nowadays is their probiotic content. In this article, I’ll talk a little about probiotics, and the unique benefits that come with fermented food. Fermented foods are a great alternative to popping a probiotic pill. Not only are they cheaper, but many of them taste great too. Fermented foods begin as whole foods such as soybeans (tempeh) or cabbage (sauerkraut) . 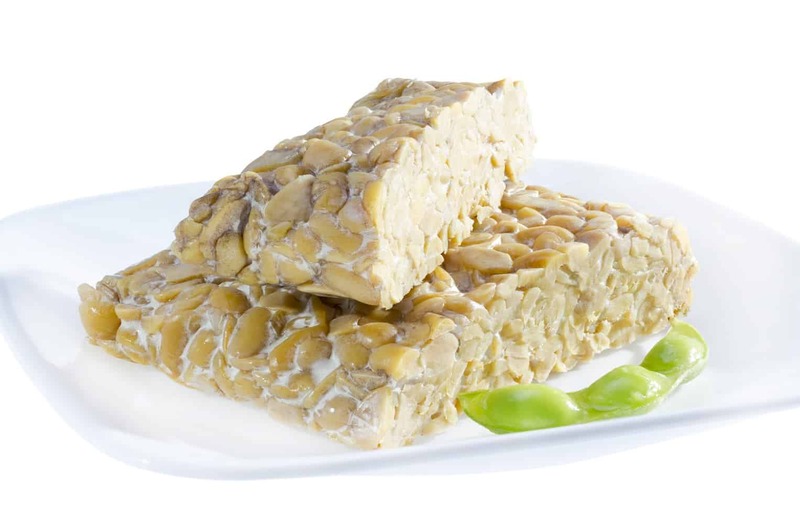 They’re then processed with “good” microorganisms such as specific strains of bacteria and yeast. This converts some of the sugar and carbohydrate content into lactic acid – giving these foods their characteristic sour flavor. This process prolongs the shelf life of the foods and also creates a population of live probiotics. Many people equate the term lacto-fermented with the milk sugar lactose. However, that’s not the case at all and fermented foods don’t necessarily have anything to do with dairy. “Lacto” simply refers to lactic acid in the fermentation process. A healthy digestive tract, along with its population of microorganisms, is thought to impact health far beyond the gut. The microbiome, or the microbial makeup, is thought to reflect your overall health. The probiotics in fermented food can help to balance your body’s microbiome. One interesting example is the connection between gut and brain health. Early life stress such as maternal separation has been shown to permanently change the profile of your microbiota. 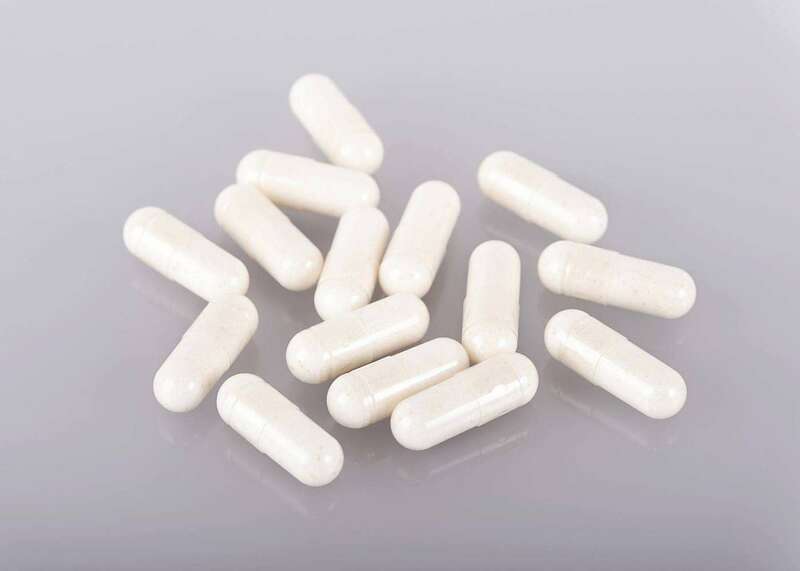 (source) Consuming probiotics, either in food or supplements, may be able to ease stress (source) and improve mood (source), research has shown. It is thought that fermented foods are more easily digested by the body. This is because the bacterial cultures inside have already done a lot of the hard work. Breaking down raw food takes a lot more effort from your digestive system compared to fermented foods. The consequence of this is that your body can get nutrients from these foods more easily. It follows that these foods are ideal for people with chronic constipation or the elderly. Several times a year, a recall is issued or an outbreak of E. coli begins due to contaminated raw produce. While washing fresh produce is a good way to prevent the spread of potential illness, it’s not foolproof. The fermentation process tends to kill off other bacteria, meaning fermented foods are often safer. The fermentation process gives foods unique enzymes and in some cases, additional nutrients. This can make them even better for you than the fresh vegetables they came from. You can ferment food at home (it’s easier than you think! ), or you can buy several types of fermented foods in stores. Miso, natto, pickles, and sauerkraut are just a couple types of fermented foods that are popular in various cuisines from around the world. Kombucha and kefir are types of fermented drinks that can provide you with probiotic benefits. You can find them in the dairy, produce, or health food section of your local supermarket. Kefir is very easy to make at home by using purchased kefir ‘grains’ that induce fermentation at room temperature. I wrote more about probiotic foods in this article. As most fermented foods tend to be very acidic, you should consume them in small quantities. The high acid content could damage tooth enamel. It could also upset your stomach and cause heartburn If you notice these types of symptoms, cut back your intake for a while and see if it improves. Fermented foods are often intended for consumption as condiments. Their strong flavors make them the perfect accompaniment to your main dish.